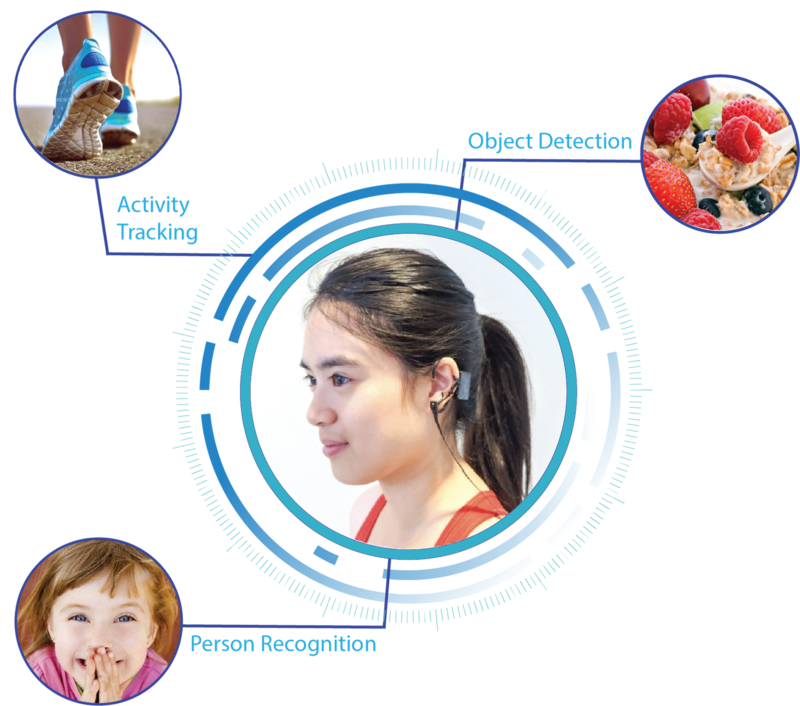 PAL (Personalized Active Learner) is a wearable system with on-device machine learning to help users with real-time, personalized, and context-aware memory augmentation, language learning, and self-awareness. PAL's wearable system consists of audio I/O, camera, and physiological sensors. PAL leverages biotechnology and AI to give users holistic information about their activities and well-being. PAL wearable system includes a camera, audio input/output, and skin-like physiological sensors. PAL uses on-device computer vision and sensor fusion for detecting user activities like eating, sleeping, working, etc, and learns about users' physical, emotional, and cognitive states (such as attention levels, using physiological sensors like sweat, electrocardiogram (ECG), and electroencephalography (EEG) sensors). We have designed several form factors for PAL to make it easy, comfortable, and stylish for different users and different world settings. Learning in the real world allows for contextual learning, i.e., learning that is tied to user’s real-world context. PAL uses real-time object detection to enable contextual language learning in the real world so that the users can learn in a mobile and contextual setting. Memory-related problems are on the rise in the world—for example, in the US, one in 10 people have Alzheimer's, and one person develops Alzheimer's around every one minute. People with memory-related problems often experience social isolation. PAL provides real-time memory assistance using personalized person recognition to recognize and remind people of people in their social circle. PAL also provides just-in-time, person-specific reminders, and people can also review the memories they have shared with different people. Mental and physical health problems like diabetes, obesity, Alzheimer’s, depression, and anxiety are increasingly threatening the quality of our lives. We often focus on curing health problems, but do not identify the personalized causes of those problems. PAL tracks people’s activities and physiological states to find the personalized correlations between users' activities and physiological states. By increasing self-awareness, PAL aims to inspire healthy behavior change in users.